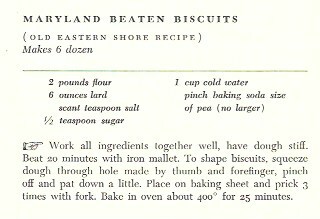 The Maryland Beaten Biscuit is a product of the days before chemical leavening agents were widely available (pre-1840s). 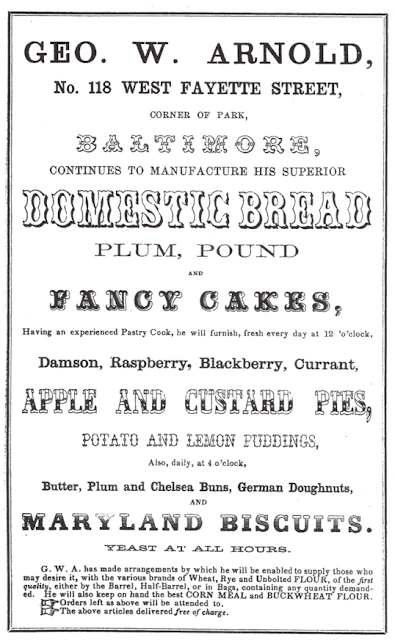 Bakers pounded or beat the biscuit dough to introduce air into it, and the beating also served to disintegrate the dough’s protein (gluten). The extensive and exhaustive beating yields a final biscuit product that is tender, puffy, and flaky. 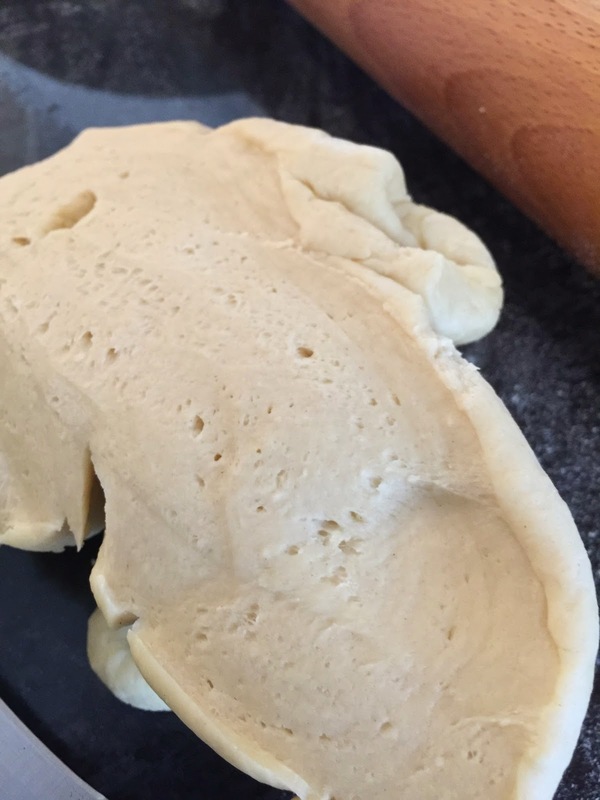 Kneading the dough would not have been done because that would activate the gluten and produce a chewy bread product, which is not desired for this recipe. 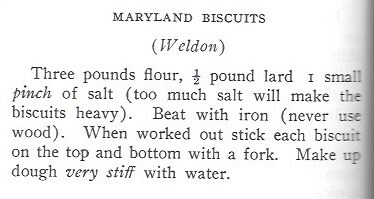 Beaten biscuits were traditionally made every day by baking them in small cast-iron bake kettles (Dutch Ovens), fried in a pan, or cooked on a griddle. These biscuits are perfect for dipping into stews and soups, or they can be split and coated with butter and jam, or filled with ham or other cold meats. 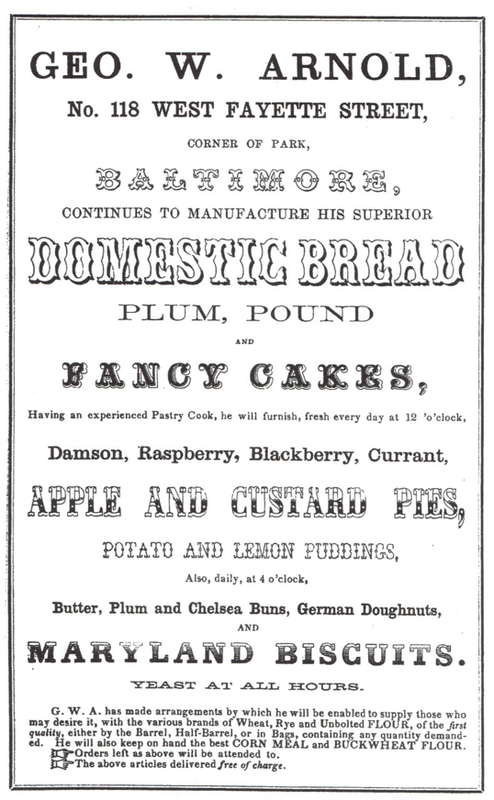 · Compiled from signed and tested recipes by the Epworth League of the Still Pond, Maryland, Methodist Episcopal Church. Beaten biscuits are no longer available on a commercial basis. So, if you want to try them you will need to make them from scratch. 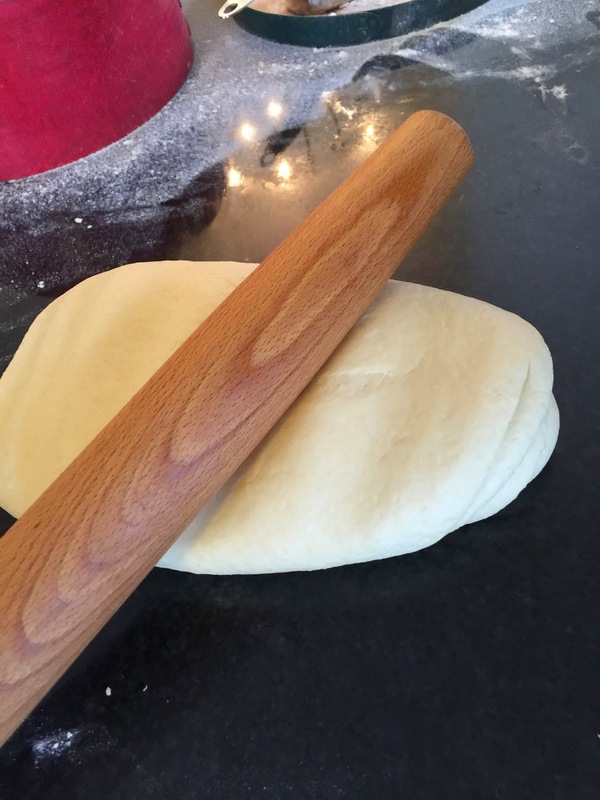 To do this right, you must use a really good stone-ground pastry flour made with soft, yellow wheat. This is the type of wheat that was grown in Maryland in the early nineteenth-century and earlier, and it produces a soft and crumbly biscuit with a great flavor that lasts longer than ones made with modern all-purpose flour which is made from gluten-rich red, hard wheat. If using modern all-purpose flour, these biscuits will only be soft enough to eat when they are hot and fresh; if allowed to cool they get really hard and are really only good for hitting with a hockey stick. 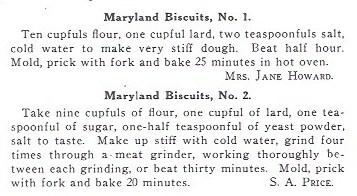 Put a little salt, one egg beaten, and four ounces of butter, in a quart of flour; make it into a paste with new milk, beat it for half an hour with a pestle, roll the paste thin, and cut it into round cakes; bake them on a griddle and be careful not to burn them. 1. In a large bowl, whisk together the flour and the salt. 2. Add the chopped butter to the flour and use your fingers to work it into the flour until it is distributed evenly. 3. In a small bowl, beat the egg until foamy. Add it to the flour/butter mixture. 4. Add just enough of the milk to make a dough that is moist but not sticky. 5. Lightly flour a board and place the dough on the board. Knead the dough enough to make sure it is not sticky at all. 6. 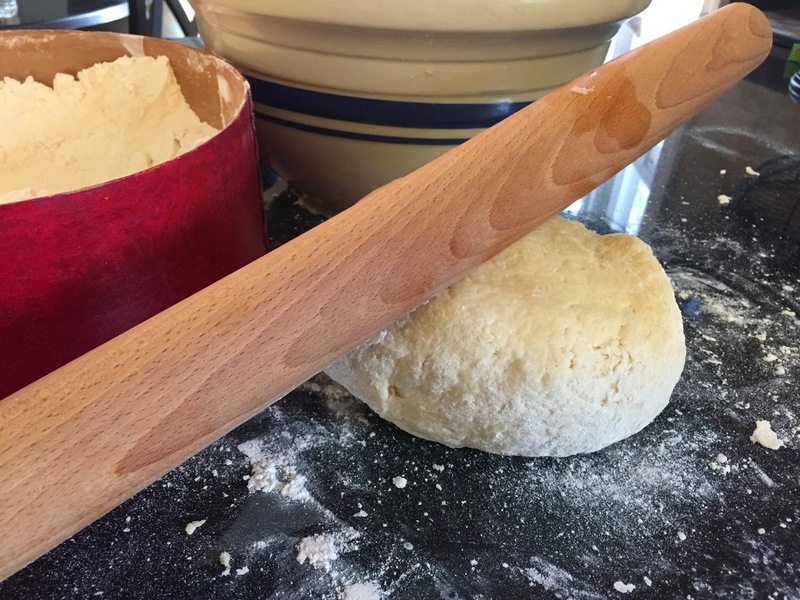 Now for the fun part: Take a rolling pin and beat the dough for 30 minutes. 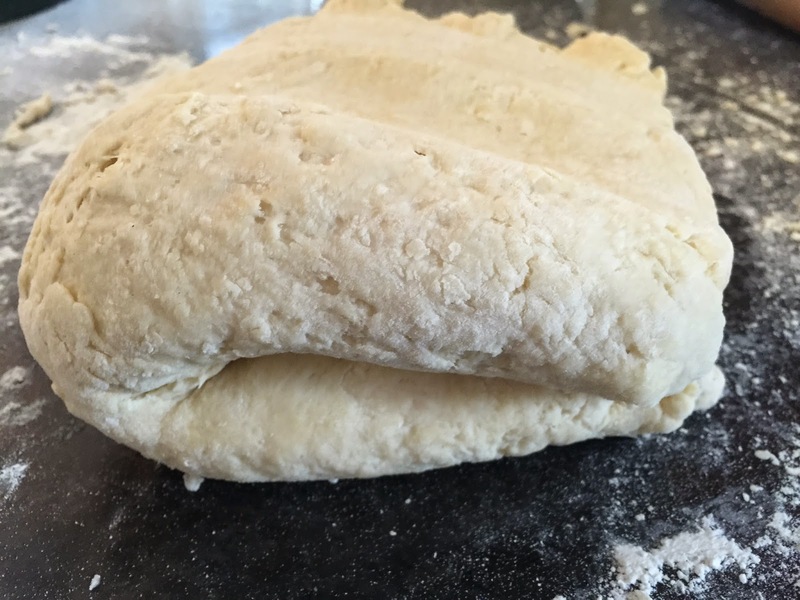 Turn and fold the dough often to make sure it gets beaten evenly. 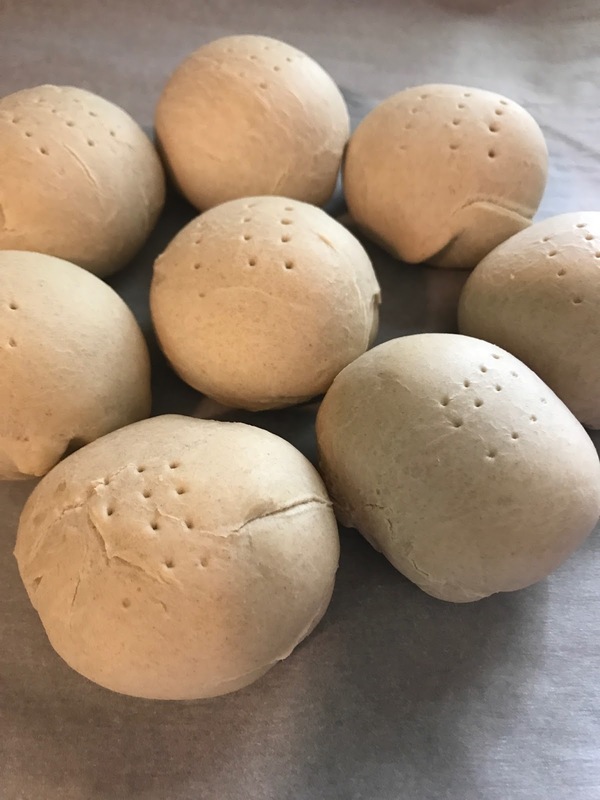 You will know it has been beaten enough when air bubbles come to the surface of the dough and pop or blister, and the dough will feel soft and squishy. 7. 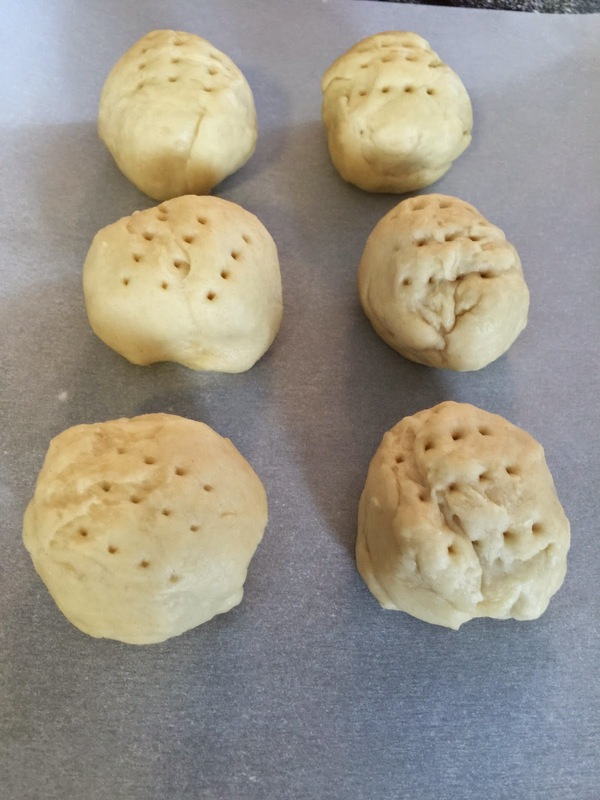 Roll the dough out and cut into circles, or pull off 1.5 ounce pieces and roll into a circle. Dock the top of each biscuit with a fork to prevent scorching during baking. Grease a griddle with lard, shortening, or butter. Cook the biscuits in the fat until they bottoms turn golden. Turn and repeat. 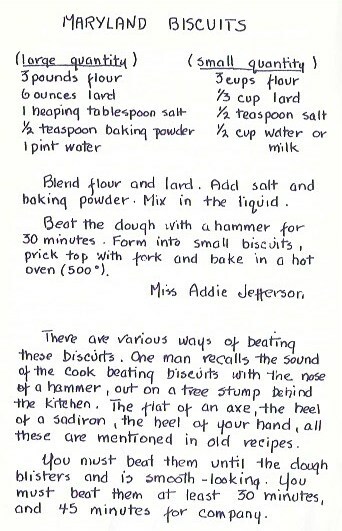 Or, you can bake the biscuits at 375º F. until lightly golden brown and cooked throughout, about 20 minutes. 9. Serve immediately with butter, jam, apple butter, maple syrup and/or honey. These can also be eaten with soups or stews, or use them to make ham sandwiches. Fold the dough in between beatings, every few minutes. 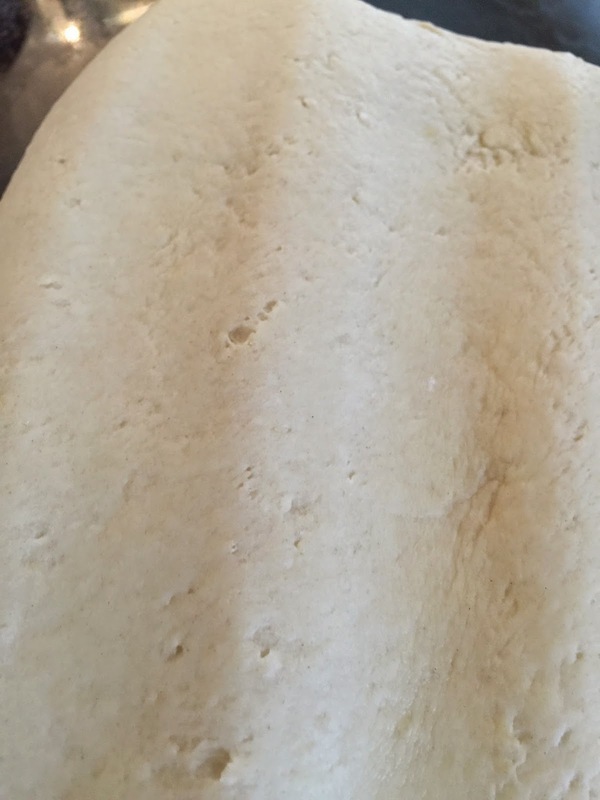 Notice how soft the dough looks after it has been beaten for about 20 minutes. Notice the blistered air pockets on the dough after it has been beaten for 30 minutes. Cutting into the dough reveals lots of air pockets! Dock each ball of dough with a fork to prevent scorching on the top.